It has been more than a couple of days ago that Google CEO Sundar Pichai made a public appearance and made some of the biggest announcements at the Google I/O 2018 Developer’s Conference. 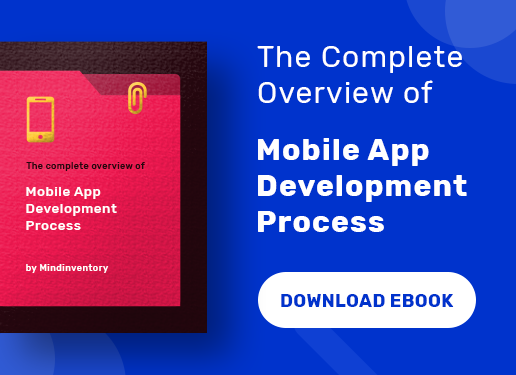 Well, one of the important tools that gained the spotlight was the introduction of the Android Jetpack, which is said to fuel the process of app development. So, before getting familiar with how the Android Jetpack will speed up the app development procedure, let’s throw some light on what it is exactly? If one has to define it in simple words, then, it is a set of components, tools or better, a guide that can help the Android app developers build unique apps. 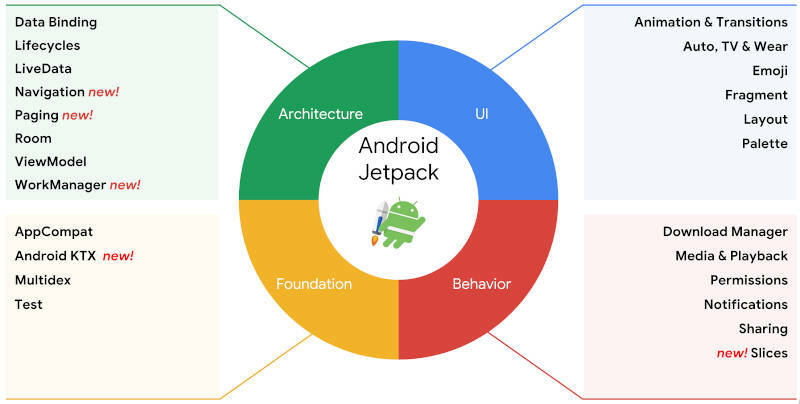 It is noteworthy that Android Jetpack components are offering the additional architectural components and extended Support Library categorizing them into four divisions. These include User Interface (UI), Foundation, Architecture and Behavior. And that’s not all. The Jetpack components also have the support of the ‘unbundled libraries’. But it is not related to the primary Android platform. This allows the developers to implement every component at their own speed and time. As Jetpack gains the functionality, the apps can be added and deployed into the Play Store. You can offer new features to your users in just one day; provided that you are quick enough. The unbundled Android Jetpack libraries have moved to the new androidx. * namespace. One of the major plus points that Android Jetpack components are offering is that it can suitably allow apps to run on all versions of the Android platform due to the independent functionality and backwards compatibility. Google has provided its set of components up-to-date design techniques including the productivity features, testability that actually accelerates the process of app development apart from further simplifying the task. The developers also have to do less coding. Though the components of Android Jetpack for instance, the lifecycle awareness and live data are developed to work together, it is not important to use them all. The Android Jetpack parts can be integrated in order to resolve the issues. You can keep the parts of your app, which are functioning well. Google introduces a new and robust component or library, which is known as the WorkManager. You will get all solutions related to constraint-based background tasks at one place that needs to be surely executed and substituting the need to use things such as jobs or SyncAdapters. The WorkManager also offers updated and simple API, which in turn lets the developers work on devices without taking any help from Google Play Services. In addition, you can also develop graphs of work besides enquiring the status of work. 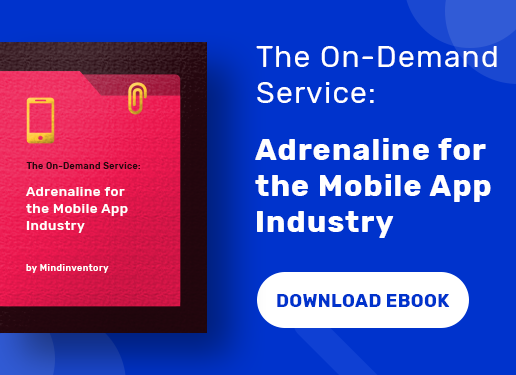 Often it has been observed that most of the popular apps contain a huge amount of data, which tends to burn a hole in the pocket if you are loading it. So, don’t go for the download or presenting simultaneously. Google has brought forward the Paging component 10.0 using which you can easily load and present a large amount of data. It also increases the speed of endless scrolling with the help of RecyclerView. What it does is load the paged data either from the network or from the local storage or even both. You can easily update your content. When we talk about the third component, i.e. Navigation, it is better known to be as a framework that helps to structure the User Interface (UI). Indeed, Google has also paid attention towards building a single-activity app as the chosen architecture. The developers tend to face problems while developing in-app navigation because of the inconsistency during the sharing and transition of data between each other. Now, what is that inconsistency? Talking about the Android platforms, screens can be created with a couple of things; first is taking an activity for every single screen, while the second option is taking single activity and different fragment for each of the screens or maybe a mix match. This becomes a challenging task for the developers. Therefore, Navigation has been launched to address that issue and make things easier. Well, this is a component that will offer full extended support to the Fragments. Plus, you also receive the added advantage of the Architecture Components including ViewModel and Lifecycle. The Navigation deals with the intricacies related to FragmentTransactions. Besides, you can declare the transitions with the help of Navigation component and getting the automatic and appropriate Up and Back behavior. 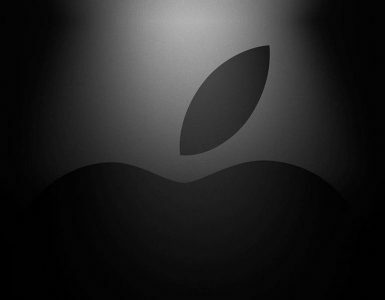 You get the support for deep links as well along with the help to connect Navigation into the suitable UI widgets. You can take assistance from Android Studio 3.2 for managing the navigation features. The Android Studio 3.2 Canary 13 is available now in the Canary and Dev channels. You can run it alongside with the Stable version as well. We know that Google had formally declared its full support to the Kotlin language apart from the Java to develop best apps. 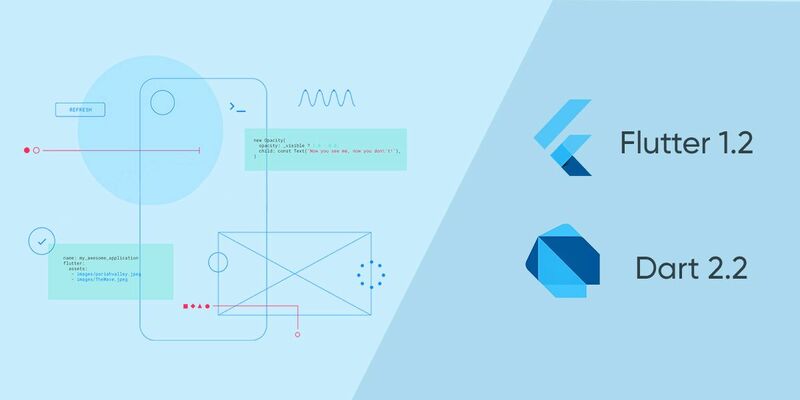 Now, with the release of Android Jetpack, Kotlin as language has become more productive and transformation of codes has become much easier than ever due to the presence of Android KTX. Ever since the announcement from Google to support Kotlin, the Android app developers have already adopted it in large numbers and this figure is surging. Google is trying to better Kotlin libraries, runtime, documentation and training. The Slices alpha is the last Android Jetpack component, which is a new component making its first appearance. A slice is a method through which you can surface your app’s UI inside the Google Assistant as a result of a search. 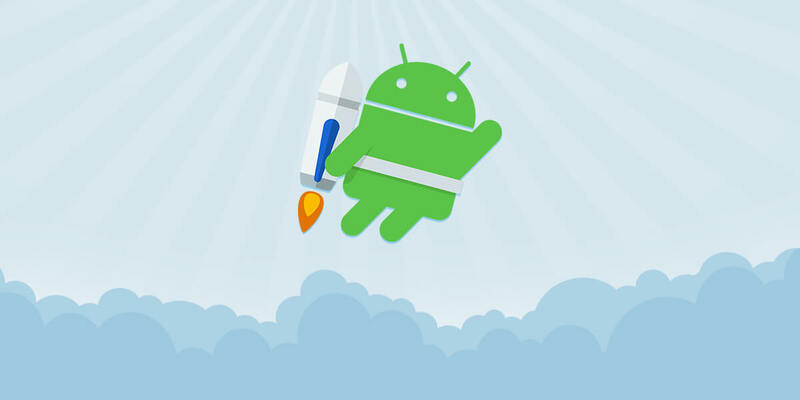 Google has launched Android Jetpack components with the aim of accelerating the speed of Android app development. It is offering a wide range of advantages such as the Support Library, the Architecture Components as well as other new components. It is also providing support to Android Studio and Kotlin language. 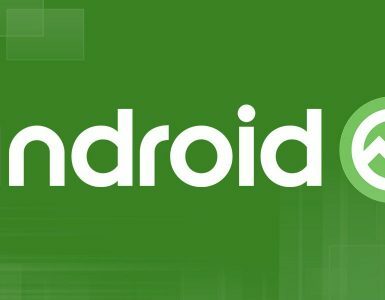 The Google has also asked the developers to send their feedback and share their experience of using the Android Jetpack by visiting the official site.